Attractive admission card to the 9 August 1902 coronation of King Edward VII and his wife, Queen Alexandra. 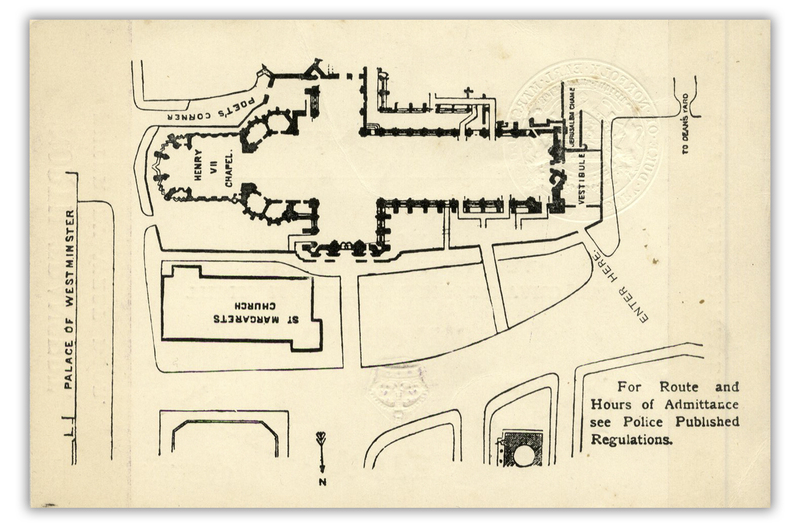 Ticket to Westminster Abbey is for the North Transept section, distinguished by the royal purple borders of the card. 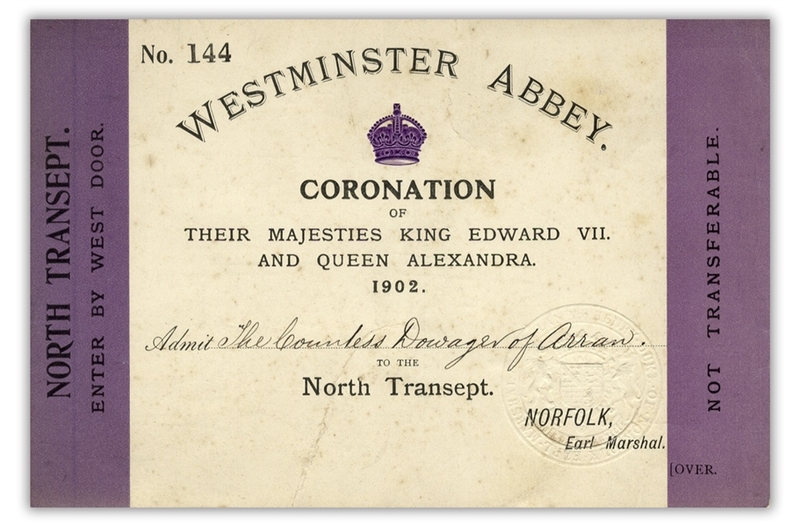 Card is marked as ''Not Transferable'' for the sole use of the Countess Dowager of Arran. Card is embossed with the seal of the Earl Marshal. Card measures 7.375'' x 4.875''. Mild crease and toning, overall very good condition.